With the shrinking gains of Sling TV and DirecTV Now, the truly awful performance of pay TV was laid bare in Q3 2018. What’s going on and what does it mean? Cable, satellite, and telco TV true performance has been masked by big gains in virtual MVPD subscribers. In Q3 2018, vMVPD gains evaporated, and the true dimensions of the pay TV losses were apparent. We discuss several measures of pay TV performance, and none of them paint a good picture for the industry. The billions of dollars the pay TV has missed out on over the last four years. vMVPD services, according to Kagan, have done quite well over the last nine months. However, they have not been able to keep up with the number of people leaving traditional pay TV. That means a substantial number of people aren’t just leaving cable; they are leaving the linear bundle model completely. 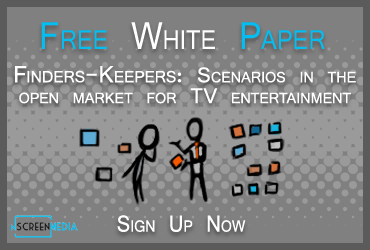 We discuss the dynamic at work that is driving the trend away from linear TV bundles. We discuss data that shows that people that subscribe to a vMVPD aren’t using it in the same way as traditional pay TV. They watch less and do not view it as their primary television service. Consumers have a much more casual relationship with vMVPDs than they used to with traditional pay TV. We are in a period of great volatility for the pay TV industry. It is unclear what the vMVPD providers are going to do with their services. Will and I discuss why the offerings currently provided by companies like AT&T, Dish Network, and YouTube are unlikely to remain as they are now. YouTube TV is almost certainly losing money at $40 a month. We discuss the reasons why YouTube is willing to absorb the losses.